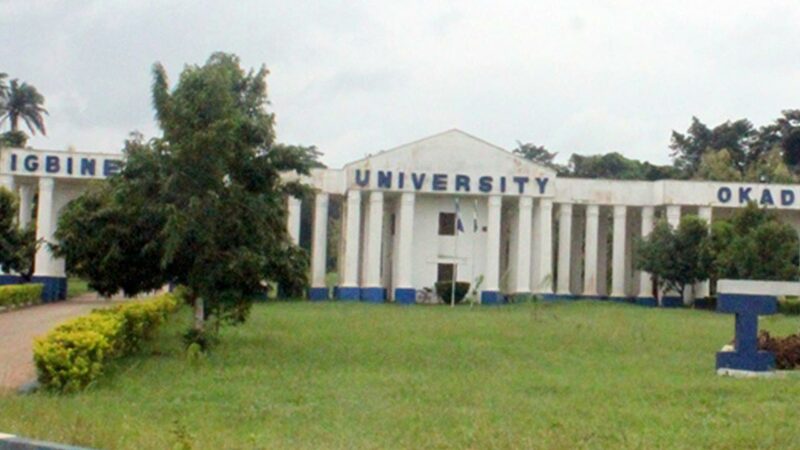 Following its visit to Igbinedion University, Okada in Edo state, between October and November 2018, the National Universities Commission (NUC) has granted full accreditation status to all eleven programs of the private institution. Prof. Lawrence Ezemonye, Vice Chancellor of the University, broke the news of the full accreditation to the Chancellor of the University, Chief Gabriel Igbinedion, while presenting his reports to him at his Okada country home. The excited VC explained that the accreditation of all programs signifies the institution’s full compliance to quality education delivery. He said the accredited programs include; accounting, business administration, banking & finance, physiology, chemical engineering, civil engineering, electrical/electronics engineering, computer engineering, pharmacy, mass communication, economics and development studies. He expressed gratitude to God for making the feat possible and thanked the Chancellor for his immense support towards the efforts of in all ramifications. The VC also reported that the university has entered into partnership with a number of professional bodies including the Nigerian Society of Engineers, which recently inducted 101 engineering students of the university as student members. According to him, the move is to enhance the scope of exposure of the students to the professional platforms governing their discipline and exemptions as appropriate at their professional qualification examination on graduation.